We are proud to offer two ADA accessible rooms at the Robinhood Resort. Please let us know in advance if there is anything we can assist you with. If our calendar shows the ADA room full, please inquire as we may be able to move guests to accommodate your booking. 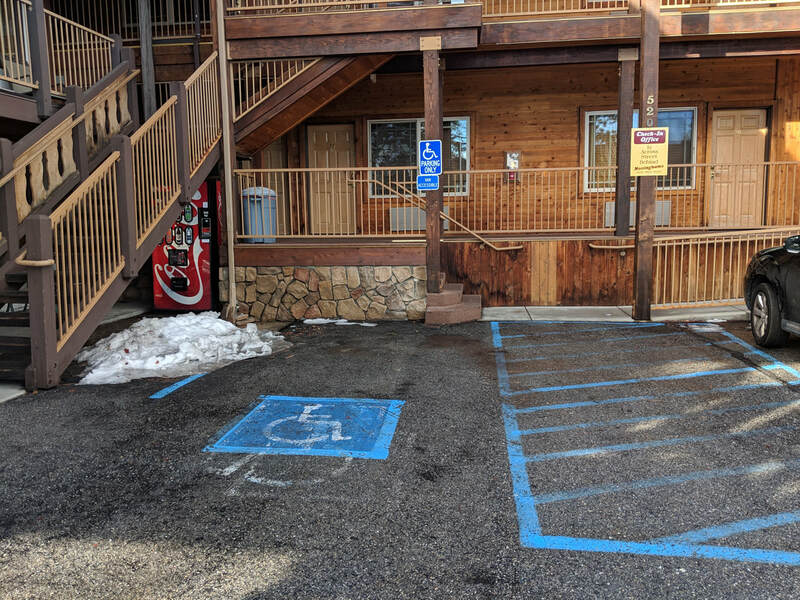 Our ADA accessible rooms have two ADA accessible parking spaces, near the entrances, which share a van accessible space with an 8 foot wide aisle. One has a ramp which leads to the room, the other a level entry. One of our ADA bedrooms has two queen beds and the other has two double beds.The rooms both feature central heating and gas fireplaces. One of the rooms has air conditioning. These rooms have visual and audible fire alarms. ​The door width is 34 inches. Our accessible restrooms include toilet grab bars, shower grab bars, floating sink, and shower chair and long shower head hose. All of our restroom and entrance door handles are accessible levers vs. knobs. ​The bathroom door width is 34 inches. Our accessible restrooms floating sink and level handles. 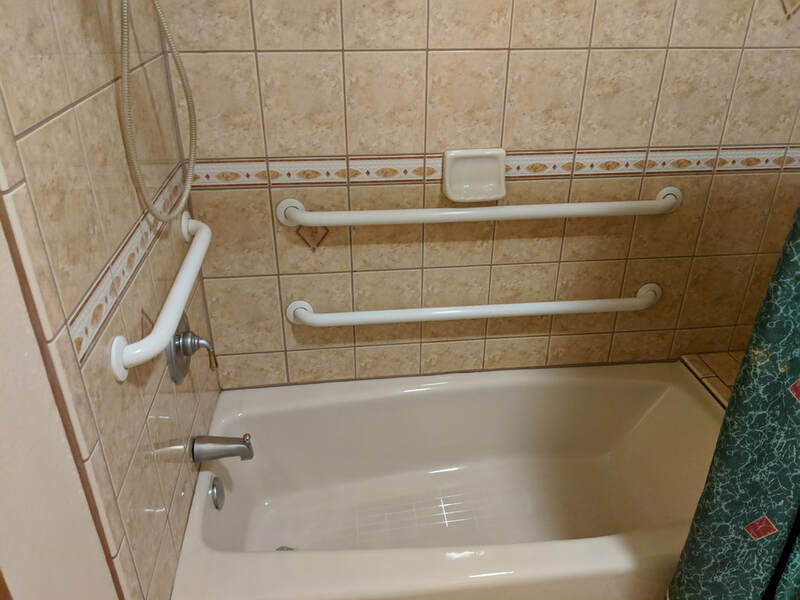 Our accessible restrooms include toilet grab bars, shower grab bars, shower chair , level handles, and long shower head hose. Robinhoodresorts.com strives to ensure that its services are accessible to people with disabilities. Robinhoodresorts.com has invested a significant amount of resources to help ensure that its website is made easier to use and more accessible for people with disabilities, with the strong belief that every person has the right to live with dignity, equality, comfort and independence. Robinhoodresorts.com makes available the UserWay Website Accessibility Widget that is powered by a dedicated accessibility server. The software allows Robinhoodresorts.com to improve its compliance with the Web Content Accessibility Guidelines (WCAG 2.1). The Robinhoodresorts.com accessibility menu can be enabled by clicking the accessibility menu icon that appears on the corner of the page. After triggering the accessibility menu, please wait a moment for the accessibility menu to load in its entirety. Robinhoodresorts.com continues its efforts to constantly improve the accessibility of its site and services in the belief that it is our collective moral obligation to allow seamless, accessible and unhindered use also for those of us with disabilities. 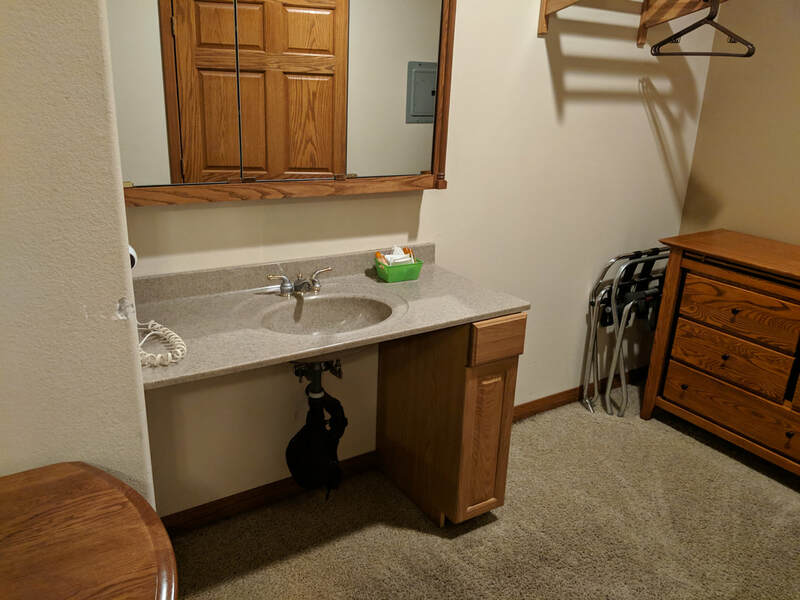 Despite our efforts to make all pages and content on Robinhoodresorts.com fully accessible, some content may not have yet been fully adapted to the strictest accessibility standards. This may be a result of not having found or identified the most appropriate technological solution. If you are experiencing difficulty with any content on Robinhoodresorts.com or require assistance with any part of our site, please contact us during normal business hours as detailed below and we will be happy to assist.